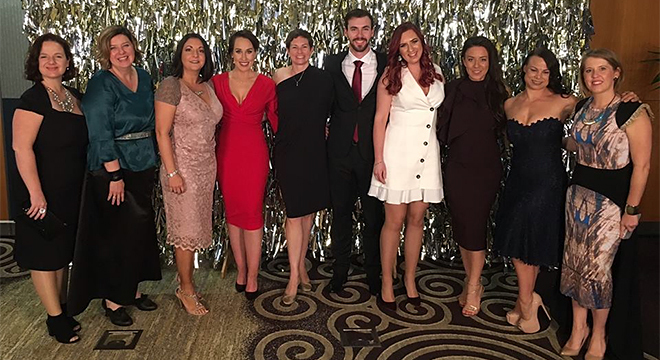 With eight Canberra business women shortlisted as finalists, it was no wonder two won big at the 2018 Altitude Awards. The eight women were finalists across six award categories including start up, disruption, established, socially conscious, influencer and not-for-profit. Strategic Connector of the Year went to Lisa LaMaitre, who has been a business owner in Canberra for more than 23 years, owning four businesses with her husband during this time. LaMaitre currently owns Therapy Masters – a health practice in Canberra City and Canberra Wise Women – an event business that showcases inspiring Canberrans. Kate Seselja with The Hope Project, whilst a finalist in the Purpose Driven Entrepreneur category, picked up two other awards at the event. Seselja won the Rising Star – Brave Award and the Most Inspiring Individual of 2018, two awards which are selected from finalists across all categories. Seselja’s personal journey through a gambling addiction and her ongoing mission to open people up to their self-defeating habits, stood out to the judging panel. “I am deeply honoured to be recognised for the work that I am doing,” Seselja says. The Altitude Awards are in their fifth year and were created to honour and champion business owners across Australia. The awards were founded by Andrea Turner-Boys, a business woman based in the Blue Mountains who runs two successful networking groups in Sydney – Women with Altitude (WWA) and Men’s Altitude Network (MAN). “I don’t know of another awards program that acknowledges the strength, tenacity and inspiration that is seen in our business communities,” Andrea says. The other Canberra finalists included Adventurer and Women’s Health Coach Indiana Holley of Three Feathers, PR and Communications Expert Sheena Ireland from Specialists in Communication, Jeweller and Influencer Jemimah Ashleigh with Tang’s Design, Coach and Inspirer Perri Blain, Anna Pino and the team from Lighthouse Business Innovation and the Canberra based not-for-profit Women in Aviation International.